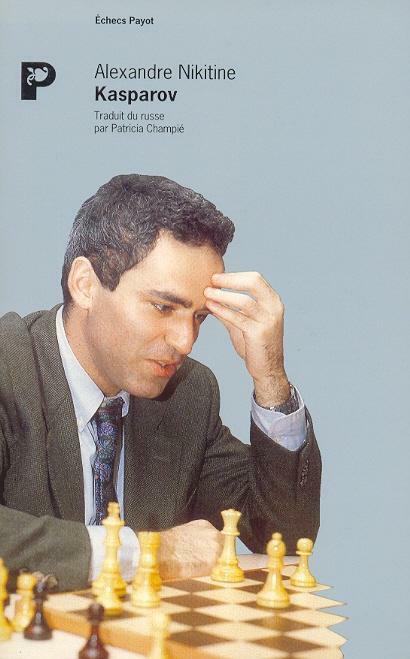 Below we list the books in our collection about, though not by, Fischer and Kasparov. Bibliographical information on any additional titles will be welcomed (as will assistance in acquiring them). Materialien zu Fischers Partien by R. Hübner (Ludwigshafen, 2004). 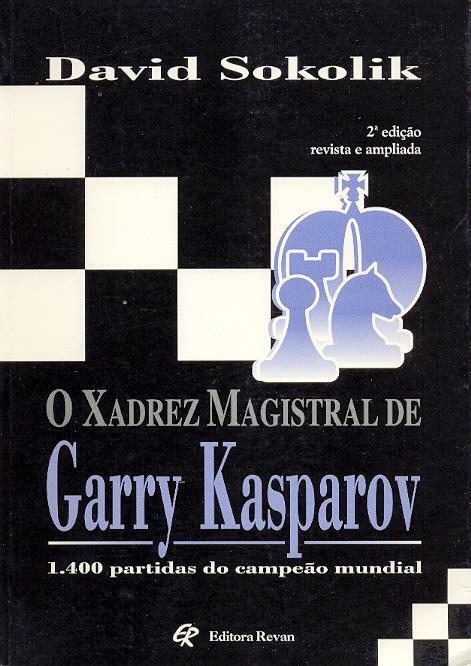 Garry Kasparov’s Greatest Chess Games, volume 1 by I. Stohl (London, 2005). Jean-Luc Grenier (St-Jerome, Quebec, Canada) asks if a photograph is available of the Nice player Pierre Morra (1900-1969), whose name is associated with the gambit 1 e4 c5 2 d4 cxd4 3 c3 (or c3 at move four). 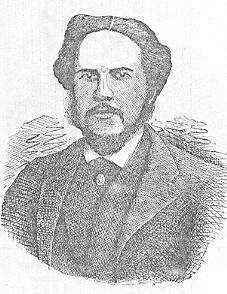 Although this sketch (from Brentano’s Chess Monthly, December 1881, page 369) might be taken to depict Morphy, it was intended to be D.W. Fiske. It seems to be based, not too successfully, on Fiske’s appearance in the New York, 1857 photograph given in C.N. 3828. A few readers have had a stab at identifying the above line-up, but a complete caption cannot yet be given. On the far left is Averbakh and, two places along, Keres. On the other side are, from right to left, Petrosian, Geller and Taimanov. Then, after two unidentified figures, comes Kotov. 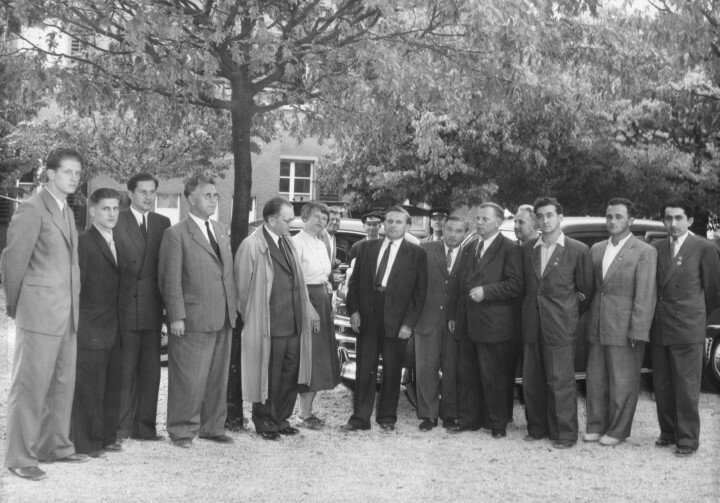 The photograph was taken during the 1953 Candidates’ tournament in Neuhausen and Zurich; ours is an original print, and we do not know whether it was published at the time. From the plate section of the tournament book Schach-Elite im Kampf (Zurich, 1954) it can be established that the person fifth from the left is Charles Perret, the President of the Organizing Committee, but question marks remain regarding the others. What is known about any such Swedish games from the 1920s? In passing we add that Levy’s book (page 100) mentions a game ‘Ståhlberg – Stoltz, Sweden, 1933’ which began 1 d4 Nf6 2 c4 c5 3 d5 b5 4 cxb5 Bb7. It may be recalled that Rubinstein v Spielmann, Vienna, 1922 opened 1 d4 Nf6 2 Nf3 c5 3 d5 b5 4 c4 Bb7 and that against Tarrasch in the Pistyan tournament earlier the same year Alekhine played, as Black, 1 d4 Nf6 2 Nf3 e6 3 c4 c5 4 d5 b5 (the Blumenfeld Counter-Gambit). 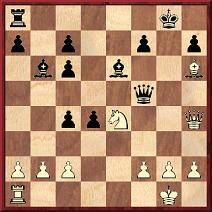 Goldstein v Wilson, Hampstead, 1924 opened 1 d4 Nf6 2 c4 e6 3 Nc3 c5 4 d5 b5 (BCM, December 1924, pages 483-484). Benko’s book (page 1) notes that ‘the usual starting position of the so-called Benko Gambit’ comes after 1 d4 Nf6 2 c4 c5 3 d5 b5 4 cxb5 a6 5 bxa6 Bxa6. See also pages 233-234 of Pal Benko My Life, Games and Compositions by Benko and Jeremy Silman (Los Angeles, 2003). 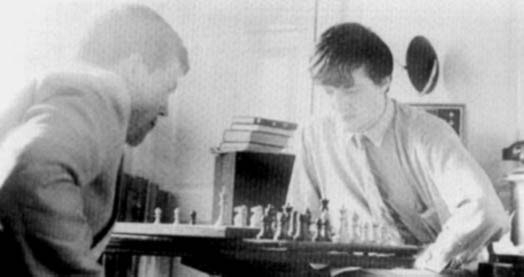 Many writers feel that chess is well served by their mentioning, however vaguely, the enthusiasm for the game (allegedly) shown by celebrities. Such name-dropping may not be founded on published evidence, the meretricious preference being to list as ‘a chess-playing celebrity’ almost any recognizable name which has appeared in the same sentence as the word chess. A chapter entitled ‘They all play(ed) chess’ on pages 251-268 of Chess for Success by Maurice Ashley (New York, 2005) has the longest such list we have seen in a book, featuring everyone and anyone from Adolf Hitler to Enid Blyton. Ashley expresses his ‘special thanks to Bill Wall for his comprehensive list’ and, of course, provides not a scrap of substantiation for any name put forward. We always welcome solid documentation and citations (in short, facts) about chess-playing celebrities from all fields. What, for instance, is known for sure about connections between chess and any US Presidents and Vice-Presidents? 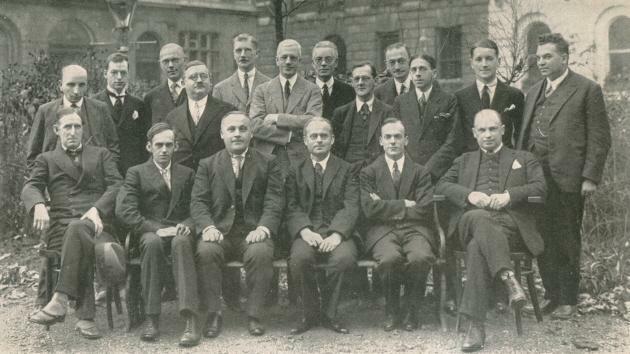 Seated from left to right: F.J. Marshall, W. Winter, E. Bogoljubow, A. Nimzowitsch, W.A. Fairhurst, S. Tartakower. ‘Not that it matters, nor that I would cast any blame on the late Winter, whom I knew as a perfect gentleman. It is only for the sake of curiosity that I ask permission to comment on Winter’s story concerning my game against Sultan Khan. 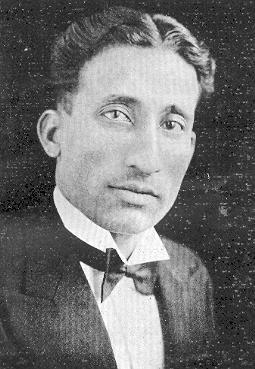 I never asked Winter or anybody else what language Sultan Khan spoke. Nor did I shout (I never do). Sultan Khan and I had met before. What little conversation there was between us was done in English, of which we both had a command sufficient for the purpose. Winter, being not asked, had no opportunity to reply “Chess” or anything else. I did not offer a draw three times, nor did Sultan Khan, who never smiled, meet my offers with a smile. 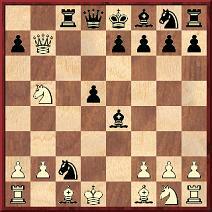 Nor again did I resign a few moves later. And I was not the Austrian champion (contests have not been held at all in my active time). Sultan Khan had White; we played a Giuoco Piano. After a small number of moves, probably 18 or so, a position was reached which I considered as fully satisfactory for Black. We are still trying to find out on what grounds R.N. Coles wrote on page 137 of Dynamic Chess (London, 1956) that Capablanca gave as his reason for practically never playing the Sicilian Defence, ‘Black’s game is full of holes’ (C.N. 2105). 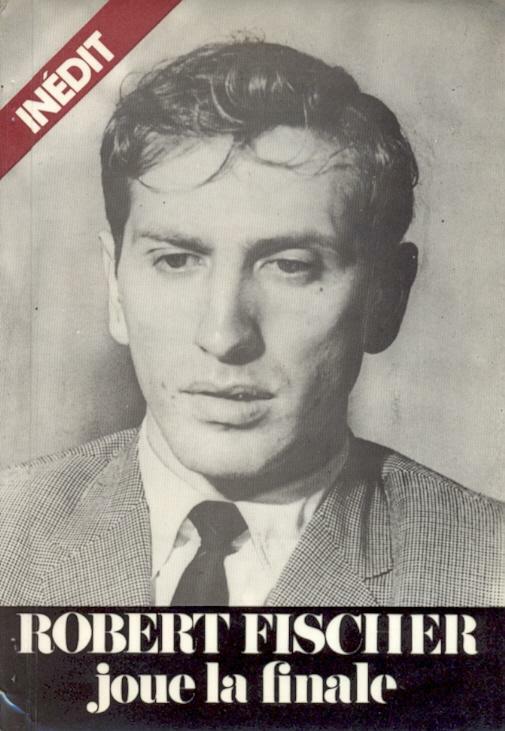 The passage is on page 135 of the Dover edition (New York, 1966). 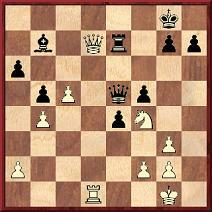 10 Nd6+ exd6 11 Bb5+ Resigns. 1 e4 c6 2 d4 d5 3 Nc3 dxe4 4 Nxe4 Bf5 5 Ng3 Bg6 6 Nf3 Nd7 7 Bd3 e6 8 O-O Ngf6 9 Re1 Qc7 10 Ng5 Bxd3 11 Qxd3 Bd6 12 Bd2 O-O 13 Rad1 Rad8 14 c4 c5 15 d5 exd5 16 cxd5 Nb6 17 Nh5 Nbxd5 18 Bc3 h6 19 Bxf6 hxg5 20 Bxd8 Rxd8 21 Qf5 Nf4 22 Qxg5 Nxh5 23 Qxh5 Bf8 24 g3 a6 25 Qh4 Rxd1 26 Rxd1 Qe5 27 Rd8 g6 28 h3 Kg7 29 Rc8 g5 30 Qg4 Be7 31 Re8 Qd6 32 h4 Qf6 33 h5 Kh6 34 Qc8 Resigns. It is the ‘minimum pieces problem’. With nine kings, for example, all the squares of the board can be controlled or occupied. The puzzle was taken from page 171 of Mathematical Recreations & Essays by W.W. Rouse Ball (11th edition, New York, 1939). The book contains an entire chapter on ‘chess-board recreations’, some of which are as complex as any we have seen. Since the book prize for the last picture quiz (C.N.s 3928 and 3942) was not won, two books are offered to the first reader to identify both persons below. No hints, but a word of encouragement: they are well-known figures in the chess world. Guesses are welcome, and the contest will be left open, if necessary, for a week. Hardly an observation to be taken seriously, of course, and not least because the final game between Bernstein and Capablanca was back in 1914. More will be appearing about MacDonnell in forthcoming C.N. items. There was a quick winner of the picture quiz: Maurice Carter (Fairborn, OH, USA). The two figures were Karl Robatsch and H.J.R. Murray, and the photographs were taken from, respectively, page 200 of Schach-Echo, 5 July 1960 and page 192 of Chess World, September 1955. 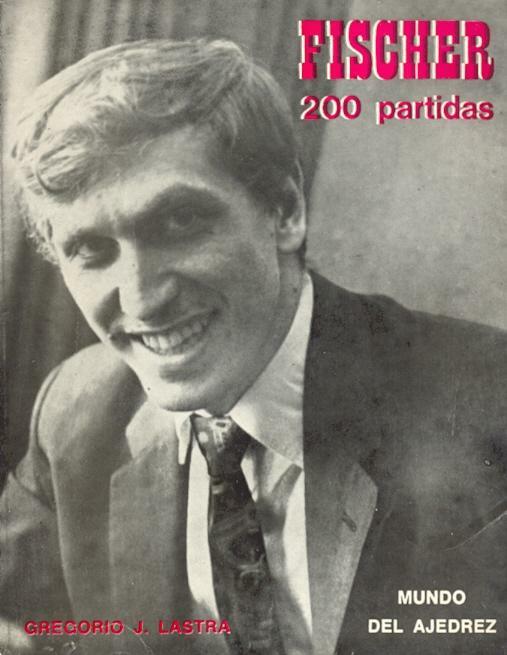 We are grateful to Michael Clapham (Ipswich, England), Claes Løfgren (Randers, Denmark), Michael Syngros (Amarousion, Greece) and Philip Wong (Wilmette, IL, USA) for additions to our lists of books about Fischer and Kasparov. An expanded version of the lists has now been made available as a feature article. ‘Speaking of custom, reminds me of a curious custom of Mr Lincoln while playing chess – for be it known to the disciples of Caissa, the devotees of Morphy, Paulsen, Anderssen, Staunton, Lichtenhein, and the army of chessplayers, that Lincoln takes delight in the movement on the ordinary, as well as of the political chess-board, and plays a fair game, but not a first rate one. He has a habit of whistling and singing all the time – his musical ability being confined to one tune, and that tune, I sagely suspect, is “Dixie’s Land”. While playing chess, Mr Lincoln seems to be continually thinking of something else. Those who have played with him say he plays as if it were but a mechanical pastime to occupy his hands while his mind is busy with some other subject, just as one often twirls a cane, or plays with a string, or as a pretty coquette toys with her fan. A celebrity with a considerable interest in chess is the British writer, actor and presenter Stephen Fry. This photograph appeared in his autobiography Moab is My Washpot (London, 1997) and is reproduced here with his permission. Below is a passage by G.H. Diggle from page 54 of Chess Characters (Geneva, 1984). He refers to himself in the third person as the BM (Badmaster). 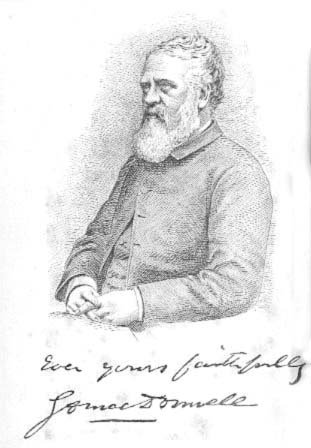 ‘The strongest of all the chess-playing reverends in Britain in the nineteenth century’ was Harry Golombek’s description of George Alcock MacDonnell on page 188 of The Encyclopedia of Chess (London, 1977). However, on page 231 he called John Owen ‘probably the strongest of all the chess-playing reverends of the nineteenth century’, a contradiction pointed out by W.H. Cozens on page 400 of the September 1978 BCM which Golombek resolved in the 1981 Penguin edition of his Encyclopedia by demoting Owen to ‘one of the strongest of all the chess-playing reverends of the nineteenth century’. 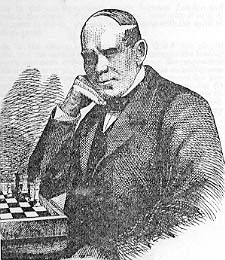 Steinitz, for his part, called MacDonnell ‘the shady irreverend fou’ on page 147 of the May 1891 International Chess Magazine. On pages 146-147 of the May 1891 International Chess Magazine Steinitz labelled MacDonnell ‘one of my bitterest and most untruthful persecutors while I was defenseless and powerless to answer’ and stated that MacDonnell ‘has an unconquerable inclination to associate himself with any kind of deception or imposition practiced in the English chess press’. Steinitz then undertook a detailed spot-check of the book’s analysis. Examples are given below, and we have added in square brackets the relevant opening moves, as well as two diagrams. ‘... It struck us that in common fairness we ought to take a glance into the author’s treatment of the QBP opening, which has been much commended elsewhere. We have to look no further than to Black’s sixth move, in the first main variation in order to discover a state of hopeless confusion in the author’s remarks, at the top of page 42. He there thinks fit to condemn a move which would strike us as the best at first sight – viz. 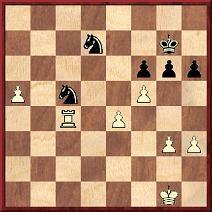 [after 1 e4 e5 2 Nf3 Nc6 3 c3 f5 4 d4 d6 5 dxe5 fxe4 6 Ng5] 6...Nxe5. In support of his view he gives a sub-variation wherein the queen checks backwards and forwards [6...Nxe5 7 Nxe4 d5 “best” (Wormald) 8 Qh5+ Ng6 9 Ng5 Nf6 10 Qe2+ Be7 11 Ne6 Bxe6 12 Qxe6 Qd7], which only seems to help the defence to develop and consolidate all his forces in a manner totally opposed to the spirit of an open game. 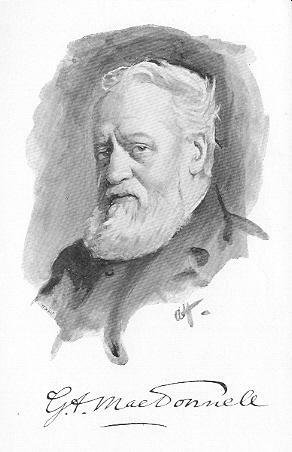 ‘As will have been perceived by chess students, we have as much as possible confined ourselves to errors to which attention had not been directed by other critics, whose competency is above dispute but who nevertheless seem to us to have delivered their judgment in praise of the book with undue haste. ... For our part, we found it impossible to endeavour to do justice at the same time to the public, to the new advents and to old authorities without bestowing the most minute attention before committing ourselves to a final opinion. In the final paragraph of his review Steinitz turned ‘with real pleasure to the last 50 pages of the book, which contain a collection of one hundred of the author’s problems’, which Steinitz praised highly, though not unreservedly. On pages 292-293 of the November 1875 City of London Chess Magazine the editor, W.N. 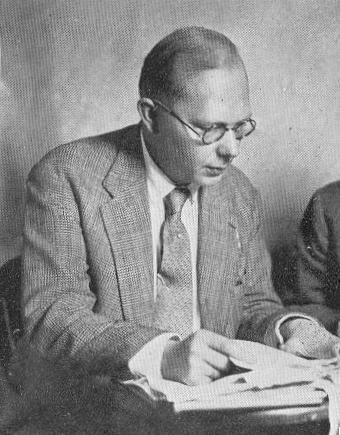 Potter, wrote regarding Steinitz’s review, ‘we shall be very happy to give Mr Wormald an opportunity of defending his work in our pages’, but no such defence appeared. The magazine’s death was a lingering one, as page 379 of the January 1876 issue held out the prospect of continuation under a new editor, and one last number did appear. On page 642 of the December 1980 BCM G.H. Diggle affirmed that MacDonnell’s remark about Steinitz’s book review being to blame for the demise of the magazine was ‘not true’. P.W. Sergeant discussed the matter on pages 129-130 of A Century of British Chess (London, 1934), but without giving sources for various key statements. 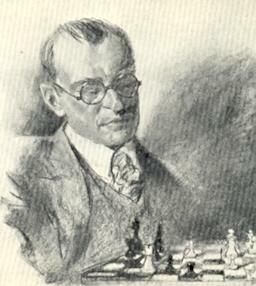 MacDonnell wrote glowingly about Wormald on pages 45-48 of Chess Life-Pictures (from which our sketch of him above was taken). A further illustration (below), by Sam Loyd, was published on page 1614 of the Scientific American Supplement, 8 December 1877, and Loyd wrote in that column that he had drawn it after meeting Wormald at the Paris Exhibition in 1867. 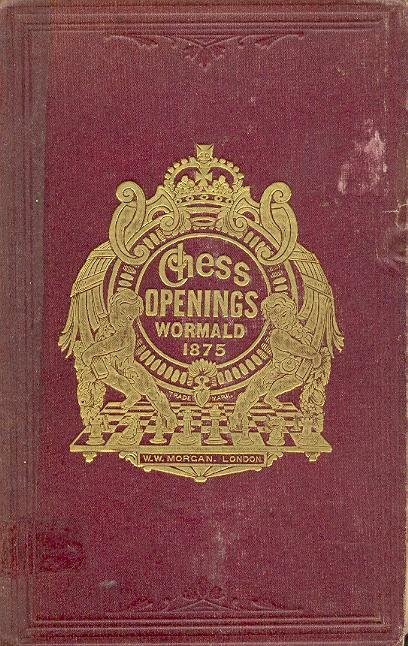 Wormald died in his early forties on 4 December 1876, a year after Steinitz published his review of The Chess Openings. Because it was a densely-packed article which gave only the page references from the book, without the moves leading up to the positions discussed and also without diagrams, it may be wondered whether many readers at the time, or later, looked at the critique closely. If instances can be identified of Steinitz being wrong in his denunciation of Wormald, we should like to be informed. The reference in C.N. 3974 to G.A. MacDonnell’s pseudonym ‘Mars’ reminds us that on the cover pages of the 3/1933 issue of the Wiener Schachzeitung E. Ramin of Stuttgart reported that with the aid of a 65.5 metre-diameter refractor Professor F. Asching of the Academy of Chess Studies in Timbuktu had established the existence not only of life on Mars but of chess-playing life. The score of the first game between Mars and Earth was given – a quick defeat for the Martians: 1 e4 e5 2 Nf3 Nf6 3 Nxe5 Nxe4 4 Bc4 Bc5 5 Nxf7 Qh4 6 O-O Bxf2+ 7 Kh1 Ng3 mate. 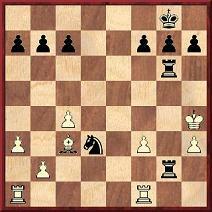 1 e4 e5 2 Nf3 Nc6 3 Bc4 Bc5 4 c3 d6 5 d4 exd4 6 cxd4 Bb6 7 h3 Nf6 8 Nc3 h6 9 O-O O-O 10 a3 Nxe4 11 Nxe4 d5 12 Bxd5 Qxd5 13 Re1 Nxd4 14 Kh1 c6 15 Nc3 Qd8 16 Be3 Nxf3 17 Qxf3 Bxe3 18 Rxe3 Qc7 19 Rae1 Be6 20 Re5 Rad8 21 Qe3 Qb6 22 Qxb6 axb6 23 Na4 Ra8 24 R5e4 Ra6 25 Nc3 Rd8 26 Kh2 b5 27 f4 Raa8 28 Re5 Bc4 29 Ne4 Kf8 30 Nc3 Rd2 31 Ne4 Rxb2 32 Nc5 g6 33 White resigns. Pages 10-11 of the January 1851 Deutsche Schachzeitung carried an obituary of Schumacher. 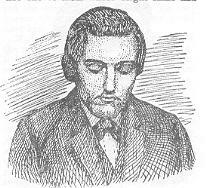 Additional material on him, based on his chess-related correspondence from the 1840s, appeared in later issues (December 1851, pages 406-410 and February 1852, pages 56-60). A quote vaguely ascribed to Alekhine (e.g. on the Internet) is ‘combination is the soul of chess’. Whether he ever made such a remark we cannot say, but certainly he stated (in November 1934, in his Introduction to La Défense du Fianchetto de la Dame by V. Kahn) that the centre is the soul of chess. A number of C.N. items (the most recent being C.N. 3872) have discussed Fred Reinfeld’s contradictory statements about when he learned chess. Here we give his earliest game known to us, from pages 58-69 of his book How to Play Chess Like a Champion (New York, 1956). The only details supplied about this ‘typical amateur game, conveying above all the lack of consecutiveness which is so common in such games’ were that it occurred in a high-school match when he was aged 15. The punctuation in the game-score is his. 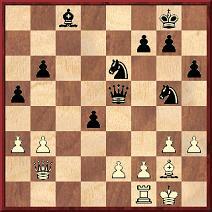 1 e4 e5 2 Nf3 Nc6 3 Bc4 Bc5 4 Nc3 Nf6 5 d3 h6 6 O-O d6 7 Nd5 Nxd5 8 Bxd5 Be6 9 Bxe6? fxe6 10 b3? 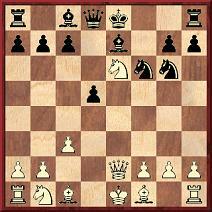 O-O 11 Bb2 Qf6! 12 Qe2 a5 13 c3?! Kh7? 14 Qc2? Qg6! 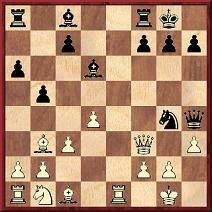 15 Nh4 Qg5 16 g3 Rf4? 17 Bc1! Raf8 18 Ng2? Rxf2!! 19 Rxf2 Rxf2 20 d4 Rxc2 21 Bxg5 exd4 22 cxd4? Nxd4? 23 Bd8? 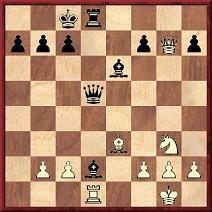 Nc6+ 24 Kf1 Rf2+ 25 Ke1 Rxg2 26 White resigns. John Townsend (Wokingham, England) asks whether it is known where Howard Staunton was living at the time of the 1841 census. Shortly before his death on 22 June 1874: 29 Elgin Road, London. Here we add that pages 411-414 of the September 1891 BCM reproduced in facsimile form an 1858 letter written by Staunton to Charles Tomlinson. The address was 2 Leigham Avenue, Streatham, Surrey. Page 226 of David DeLucia’s Chess Library. 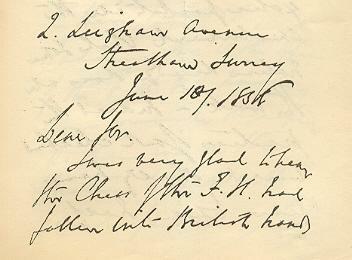 A Few Old Friends by D. DeLucia (Darien, 2003) shows part of a four-page letter from Staunton to Fitz-Cook in which Staunton’s address was 27 Chilworth Street, Hyde Park, London. The letter is undated but the opening comment (‘With regard to the Chess World Magazine. Although I doubt whether a periodical solely devoted to chess will ever be a very lucrative undertaking ...’) suggests that it was written in the second half of the 1860s, when he was the editor of Chess World. Thus the earliest address on hand is from 1849, at the time of his marriage, but where did he live during his bachelor days? The year of interest to our correspondent, 1841, was when Staunton began the Chess Player’s Chronicle, and it may be supposed that he wrote many letters. Have any survived? ‘As con-translator with J. du Mont ... of the French MSS of Alekhine’s book My Best Games of Chess 1908-1923 I naturally met the maestro on a number of occasions. 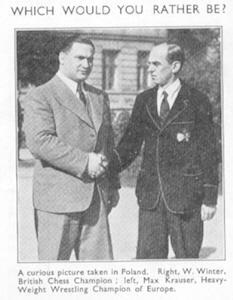 In 1926 we both competed in the Scarborough tournament, and I lost in 40 [sic] moves. In this tournament Alekhine upbraided me for failing to do more than draw against Sir George Thomas, a game in which I had only a minimal advantage. 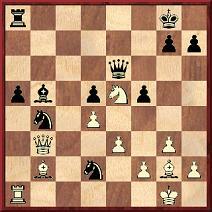 In fact, even Alekhine’s genius failed to reveal any winning line in the inevitable post mortem. Alekhine said, “Now I’ll have to beat my old school friend, Victor Khan, or Thomas may come ahead of me.” He did, which was just as well, as Thomas was only half a point behind. Until well into the small hours of the mornings, Alekhine, Bogoljubow, Colle, Sir George Thomas and myself used to play “Two-Move Chess”. 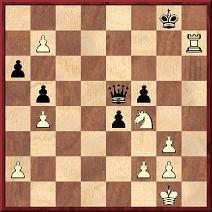 In this fantastic form of the game, a player is permitted to make two moves at a time, provided he does not check on the first move. C.N. 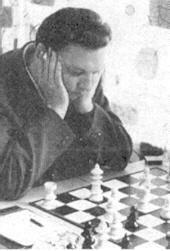 3964 mentioned that Alekhine also won a Kriegspiel tournament while in Scarborough. Goldstein’s account might be taken to imply that his draw against Sir George Thomas occurred at the end of the tournament, but page 303 of the July 1926 BCM states that it was played in the third round of seven. 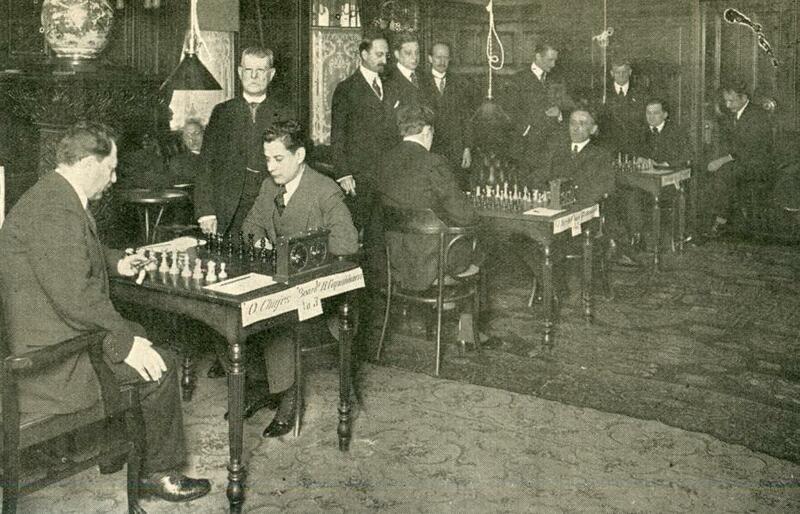 Before the seventh round the leading scores were Alekhine 4½ and Sir George Thomas 4. Both won their final games. 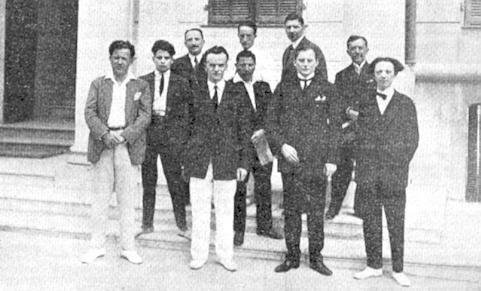 At the board (left to right and from the front) are A. Alekhine and Sir G.A. Thomas; E. Znosko-Borovsky and E. Colle; S. Landau and V. Buerger. 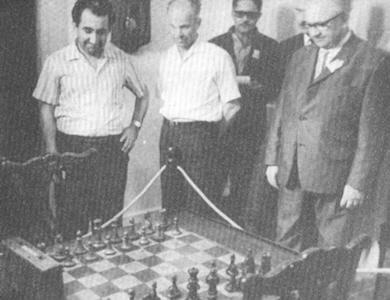 The players standing are A. Seitz, V. Kahn, M.E. Goldstein, C.Y. Dawbarn and G.M. Reid. Andy Ansel (Laurel Hollow, NY, USA) informs us, on the basis of a notebook of Reinfeld’s, that the game given in C.N. 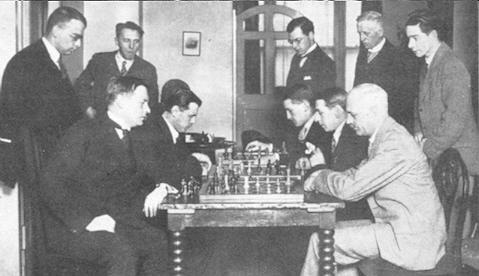 3978 was played against Stubing in an Inter-Scholastic league match between DeWitt Clinton and Mount Vernon at the Manhattan Chess Club on 15 November 1924. Reinfeld’s book should thus have given his age as 14 rather than 15. 16 Nxe5 Rxc2 17 Rxc2 Qe7 18 Nxg4 Nxg4 19 Nf3 Re8 20 Be2 Qe4 21 Bd1 d4 22 Re2 d3 23 Rd2 Ne5 24 Nxe5 Qxg2 25 Bf3 Qxh1+ 26 Bxh1 Rxe5 27 Rxd3 Rb5 28 Be4 Kf8 29 b4 Ke7 30 Bd5 Rb6 31 f4 Rd6 32 Ke2 b6 33 e4 f6 34 g4 g6 35 Ke3 Rd7 36 e5 Rd8 37 Be4 Rxd3+ 38 Bxd3 g5 39 exf6+ Kxf6 40 f5 Resigns. Marek Lada (Warsaw) notes that our feature article on chess figures’ addresses has no entry for Anderssen, who is recorded as having lived in Breslau (Wrocław) throughout his life. What details can be found? Where did Steinitz make that remark? 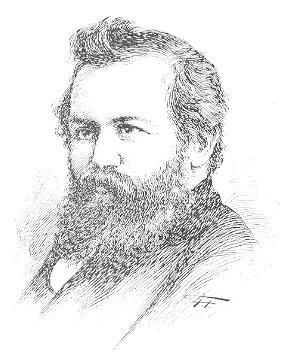 Steinitz won that 1866 contest against Anderssen with a score of +8 –6 =0. Our correspondent also mentions that one of the addresses given in C.N. 3979 (2 Leigham Avenue, Streatham) appeared in an 1850s letter from Staunton reproduced on page 110 of Howard Staunton Uncrowned Chess Champion of the World by Bryan M. Knight (Montreal, 1974). The exact year of the letter is not easy to read. 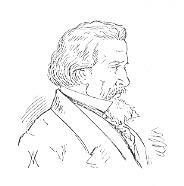 In connection with Knight’s book we add that when, in 1974, Albrecht Buschke sold copies of the limited hardback edition he added for his customers a facsimile of a letter from Staunton to Tassilo von Heydebrand und der Lasa, written from 8 Sydney Place, Brompton on 20 January 1851. From Buschke’s transcript it will be seen that Staunton referred to the astronomer H.C. Schumacher, who was discussed in C.N. 3976, and that he misspelled both Heydebrand and Lasa. Some days since, being myself a great invalid, I requested Mr Horwitz to make known to you the promising results of our endeavour to promote a Great Chess Congress in London, during the coming Spring, and to convey the expression of our anxious desire that you would afford us the incalculable advantage of your presence on this interesting occasion. The moment I am enabled to resume my pen, I hasten to add my personal and particular solicitations, that for the sake of the game for which you have done so much and, I may add, sacrificed so much, you will not suffer any insurmountable impediment to prevent your being present at this striking and unique assemblage – Already from all parts of England, from France, from India & America we have the most gratifying manifestations of sympathy and support, and on all sides there is an anxious longing expressed to learn [hear?] that you will take part in a Congress so fraught with important consequences to the future prosperity of chess. Do my dear Sir exert yourself to gratify the wishes of the chess community – I wrote to you some weeks ago on [an?] account of our early proceedings through our dear, lost, friend Mr Schumacher, but his illness prevented his communicating with you. In a few days I will send you a programme of the intended assemblage – but, in the meantime, I entreat you to give me the assurance that you will join us. This [That] assurance will induce hundreds to join our standard and infuse the greatest animation through all ranks of players both here and abroad. Should you determine to come, I will later care that you are subjected to conveniences (?) on the score of a residence. London will doubtless be disagreeably full & I have many visitors, but on hearing of the month when you propose coming I will take you comfortable apartments in the neighbourhood of the Town – and on your arrival will meet you in company of Mr Horwitz to convey you from the Railway to my house and from thence to your abode (?). 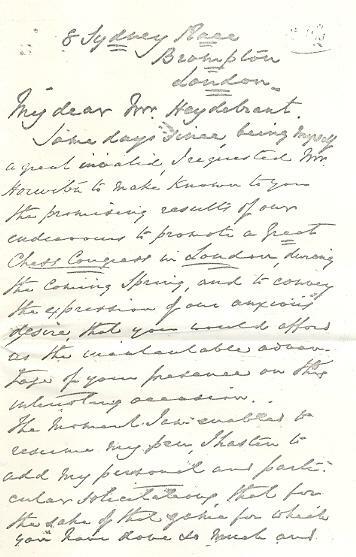 Page 181 of the 1851 Chess Player’s Chronicle referred to the absence from the tournament of Heydebrand und der Lasa, ‘who, to his deep regret, was unable to leave his diplomatic duties’. 1 d4 Nf6 2 c4 e5 3 dxe5 Ng4 4 e4 Nxe5 5 f4 Nec6 6 Nc3 Bc5 7 Nf3 d6 8 Na4 Na6 9 a3 Bg4 10 Be2 Qf6 11 Bd2 O-O 12 e5 dxe5 13 fxe5 Nxe5 14 Nxc5 Nxf3+ 15 Bxf3 Rfe8+ 16 Kf1 Nxc5 17 Bc3 Bxf3 18 Qxf3 Qxf3+ 19 gxf3 Re3 20 Kf2 Rae8 21 Rhd1 Nd3+ 22 Kg3 R8e6 23 Rf1 Rg6+ 24 Kh4 Re2 25 h3 Reg2 26 White resigns. 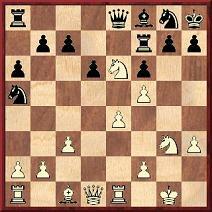 18...Bc3 19 Rxd5 Bxg7 20 Rxd8+ Kxd8 21 c3 a5 22 Ne4 Kd7 23 Nc5+ Kc6 24 Nxe6 fxe6 25 f4 Kd5 26 Kf2 Ke4 27 Ke2 b5 28 g4 a4 29 Bc1 c5 30 h4 b4 31 cxb4 cxb4 32 h5 b3 33 f5 exf5 34 gxf5 Kxf5 35 Kd3 Kg4 36 h6 Bf6 37 Kc4 Bg5 38 Bxg5 Kxg5 39 Kb4 Kxh6 40 Kxa4 Kg5 41 Kxb3 h5 42 White resigns. Source: Schweizerische Schachzeitung, February 1928, pages 24-25. 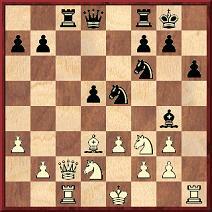 21 Nh5 Nc6 22 Nhf4 Nd8 23 Qh5 g6 24 Nxg6 mate. 49 Rd4 Nb8 50 Rd8 Nba6 51 Rd6 g5 52 Rc6 h5 53 Kf1 g4 54 hxg4 hxg4 55 Ke2 Kf7 56 Ke3 Kg7 57 Kd4 Nb3+ 58 Kc3 Nbc5 59 Kc4 Nxe4 60 Rxa6 Nxg3 61 Rb6 Resigns. Source: Schweizerische Schachzeitung, June 1928, pages 93-95. From the outset (i.e. even before the book arrived) we had rather low hopes of liking Chess in the Movies by Bob Basalla (Davenport, 2005), largely because of the dreaded words ‘vanity press’. When, however, the volume turned up, it immediately created a favourable impression as a well-produced 422-page paperback (large-size, in A to Z encyclopaedia format) containing a remarkable amount of fresh information. This position was given in C.N. 1557, and in C.N. 1666 Jack O’Keefe pointed out that it came from an actual game: W.J. Wolthuis v C.H.O’D. Alexander, Maastricht, 1946. The finish was 25 Qxb4 Resigns. See pages 3-5 of Kings, Commoners and Knaves. All this was a poor start for Chess in the Movies, and it was a relief to find on pages 152-153 a good account of the Canadian production The Great Chess Movie (although Basalla really might have been expected to know that the problem attributed to Pope John Paul II is a hoax) and to see the author demonstrating fine critical faculties on pages 293-296 in his detailed discussion of Searching for Bobby Fischer. As we continued, examining other entries for films with which we could claim familiarity, a strange thing happened: the série noire had ended, and Chess in the Movies was growing on us. 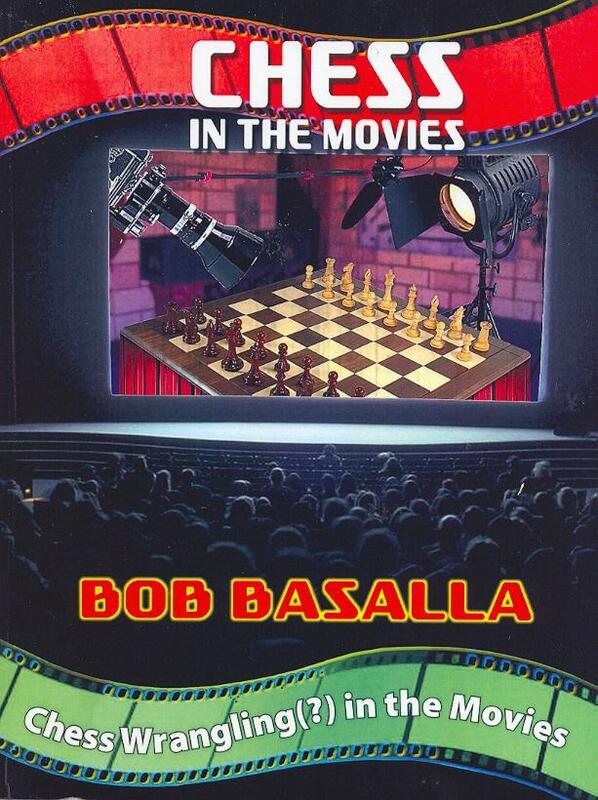 Basalla’s love of both chess and the cinema is evident, and he has put an extraordinary amount of research into what is, after all, a brave venture, given that no remotely comparable book exists. He states on page 12 that errors are likely in such a large work, and of course they are inevitable in any book of substance. Chess in the Movies, which is available from Amazon, will certainly be scrutinized avidly by readers around the world, and the author invites corrections. We look forward to the prospect of a superb second edition. There used to be considerable ignorance about the 1925 Soviet film Chess Fever. ‘Did any reader ever see it?’ was the question posed on page 76 of CHESS, 5 December 1959. The same page contained the remark ‘Capablanca’s voice and figure were, we understand, “dubbed in”’, which Stewart Reuben corrected on page 283 of the 18 June 1960 issue by pointing out that the film was made before the advent of sound. Does contemporary Soviet literature (chess, cinema or general) offer any clarification of what occurred? 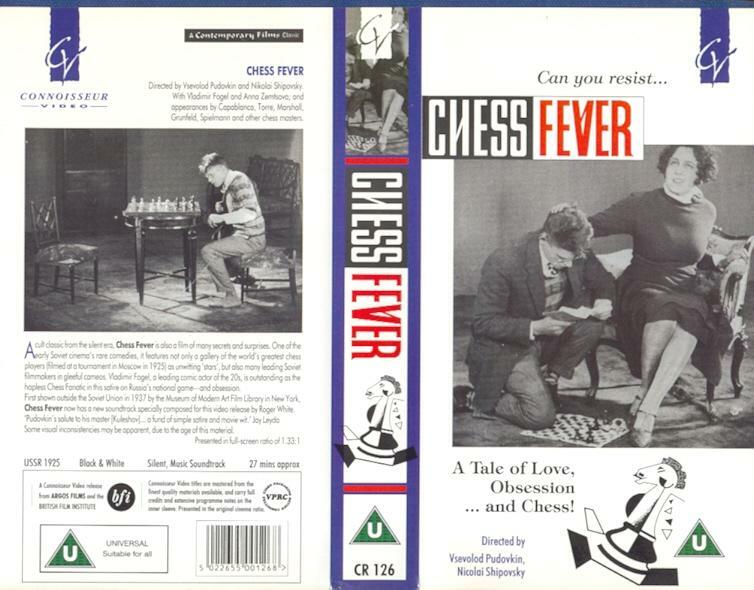 Nowadays, Chess Fever is widely available for home viewing. 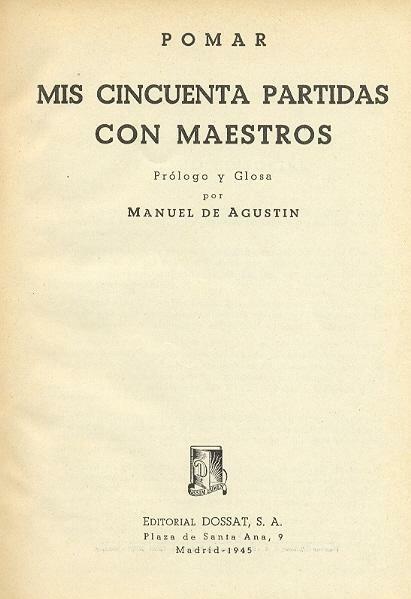 De Agustín was attributed responsibility for the introductory material and the notes. The title means ‘My 50 games with masters’, and authorship was ascribed to Pomar at the time (e.g. 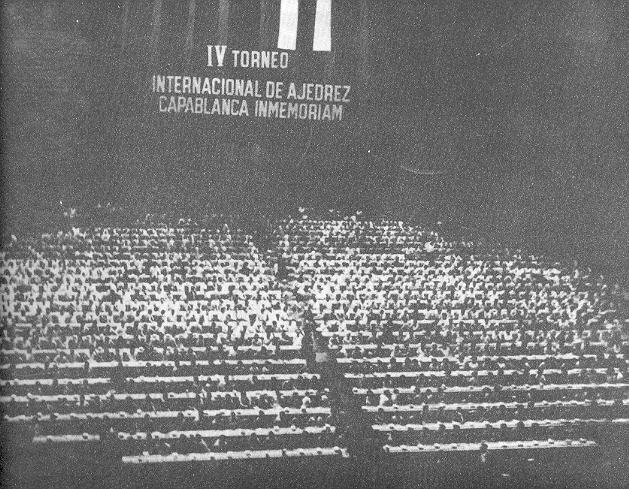 in a book list from the publisher on the inside front cover of Ajedrez Español, April 1946). Nonetheless, on the basis of the contents of the book we agree with Mr Alió’s strictures and shall no longer describe it as ‘autobiographical’. This interaction is also mentioned in Bob Basalla’s book Chess in the Movies. As regards the other masters, it may be noted that the set of pairings filmed (e.g. 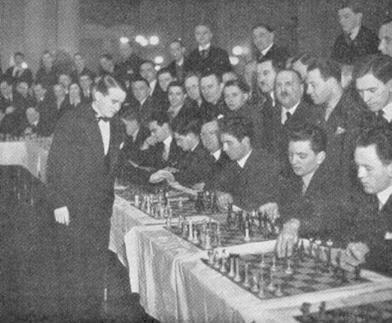 Marshall v Torre and Réti v Yates) corresponds to no round of play at Moscow, 1925, and there is much artificial smiling for the camera. 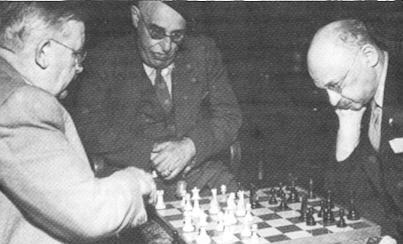 Another point is that the cinema entry in The Encyclopedia of Chess by H. Golombek (London, 1977 and Harmondsworth, 1981) stated that the director, Pudovkin, utilized ‘such real personages as Capablanca and Lasker as figures in his short film’, whereas Basalla writes (justifiably, from our own viewing), ‘I can’t see where Emanuel Lasker appears at all’. This report was briefly mentioned in C.N. 1136 (see page 193 of Chess Explorations), but no further information about the portrait has come to our attention. 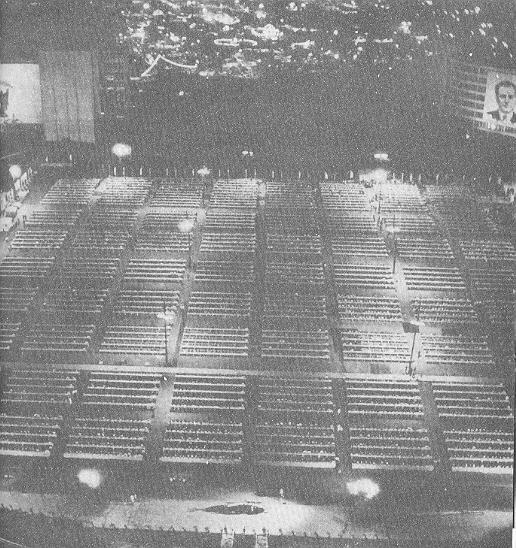 A number of readers replied that the photograph depicted a large simultaneous display during the 1966 Olympiad in Havana, but we had rolled out some tripwire. 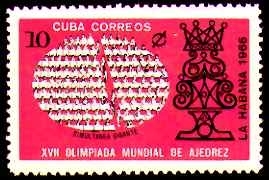 This 1963 event was also mentioned on page 41 of the above Cuban book, where the date was given as 12 March and it was stated that 40 masters took on 1,241 opponents. 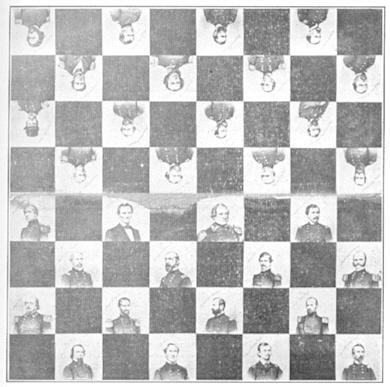 ‘A Chess Board decorated with the portraits of the Generals and Admirals of the Union forces in the Rebellion. Pres. A. Lincoln, Commander-in-Chief of the Army and Navy QB4 (c4). Maj.-Gen. U.S. Grant KR5 (h5).